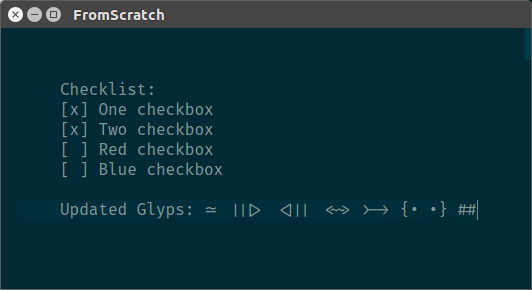 FromScratch 1.3.0 was just released, and it features a couple of nice features: Checkboxes, Updated Fira Code and I fixed a longstanding issue for people using alternate keyboard layouts. You can download FromScratch 1.3.0 from the site Fromscratch.rocks or the Github releases page. I love making lists and checking off items. Adding checkboxes was on my wishlist for a long time but I wasn’t sure how to best implement it. Thanks to an excellent discussion in Github issues I was able to explore some of the options and end up with something simple and elegant. You only need to remember one shortcut: ctrl + /. If there’s no checkbox on the current line, it will add an unchecked one to the start of the line. If there is a checkbox, it will check it, and if the checkbox is checked, it will uncheck it. Super easy to use and still super clear. Electron had a long standing issue where the shortcuts didn’t work properly if you used an alternate keyboard layout such as Azerty. FromScratch was also affected by this and I’m super glad that shortcuts now work properly regardless of your keyboard layout. I updated Fira Code which brings with it new symbols, cleaned up large parts of the code and improved on styling here and there. 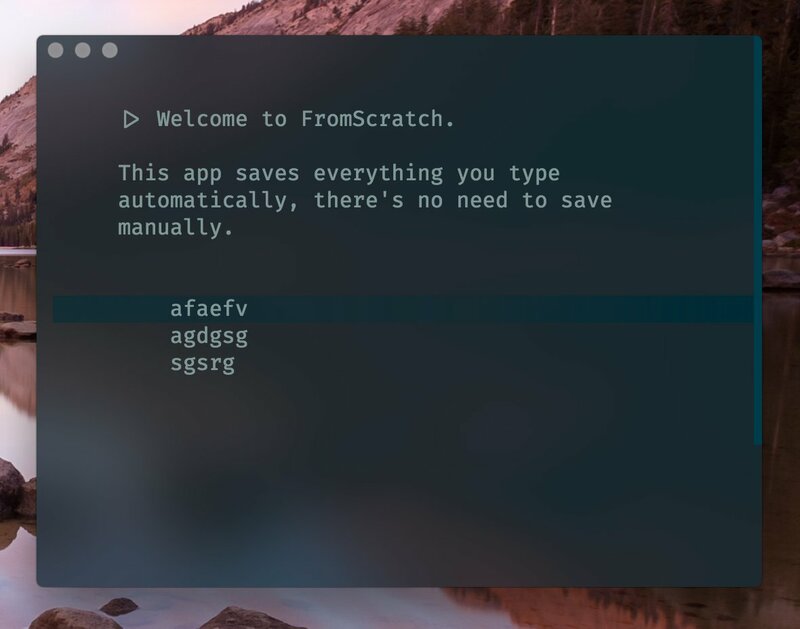 FromScratch 1.3.0 is a free download, and you can get it now from the site Fromscratch.rocks. Something I experimented with in the past few weeks was the new Mac Vibrancy api. It lives in a branch for now, and you can try it out by checking out the macos-vibrancy branch on github. It looks awesome but I’m not yet sure how to reconcile it with the default FromScratch style, so expect that in a future release.